We’re here at E3 2018! Another year, another Electronic Entertainment Expo. While last year brought us the likes of Mario, Spidey and the 4K HDR-capable Xbox One X, E3 2018 is set to bring us the likes of cowboys in Red Dead Redemption 2, aliens in Anthem and two long-awaited fighting game sequels, Dead or Alive 6 and Super Smash Bros. on Switch. Like last year, the show floor officially opens up Tuesday afternoon and will remain open until Thursday, but the action really starts on Saturday with EA’s official keynote during EA Play. There you can expect to see the usual suspect of sports games and forays into foreign battlegrounds (roles fulfilled by Madden 19, FIFA 19 and Battlefield V, respectively) along with one or two unexpected surprises. After EA, we’ve got Microsoft and Bethesda on Sunday, followed by Ubisoft, Sony and the PC Gaming Show on Monday. Last but not least is Nintendo Tuesday morning. So what, exactly, are we going to see at all these shows? Here are our top five predictions. #1: Sadly, you shouldn’t be expecting new hardware at this year’s show. There might be rumors floating around about the Xbox Two and PS5, but you can bet your last lootbox that you won’t see them at this year’s show. #2: But it’s going to be a great year for games - especially from Nintendo. Nintendo has already announced that it will have playable demos of Super Smash Bros at the E3 showfloor (reserve your tickets here) and it’s likely we’ll hear more about Metroid Prime 4. #4: A leaked keychain might’ve spoiled one of the biggest announcement this year, but that won’t stop Assassin’s Creed Odyssey from stealing the limelight at Ubisoft’s keynote. Alongside the new assassin, Ubi will also likely have more footage of Beyond Good and Evil 2, Transference and its Sea of Thieves killer, Skull and Bones. #5: Microsoft will show off its collection of first-party titles to counter the idea that there are no exclusives on Xbox One. Expect to see a new Gears of War, Forza Horizon entry and a new trailer for Crackdown 3 ... alongside a reason behind the delay in development. So where can you tune in to hear the latest on everything E3 2018? Right here, of course! Coverage starts tomorrow at 11 am PT / 2 pm ET / 7 pm BT. 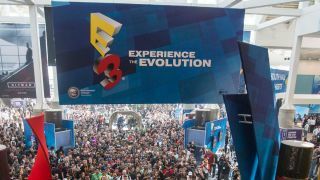 E3 is the world's largest exhibition for the games industry, stuffed full of the latest and greatest games, consoles, and gaming hardware. TechRadar is reporting live from Los Angeles all week to bring you the very latest from the show floor. Head to our dedicated E3 2018 hub to see all the new releases, along with TechRadar's world-class analysis and buying advice about the next year in gaming.